Head for the Arts theatre in the West End for a musical like no other. It stars six women, six very special women from the distant, violent past. But the stories of oppression, bullying and murder they tell have a modern flavour – it looks like some things really haven't changed that much since Tudor times. 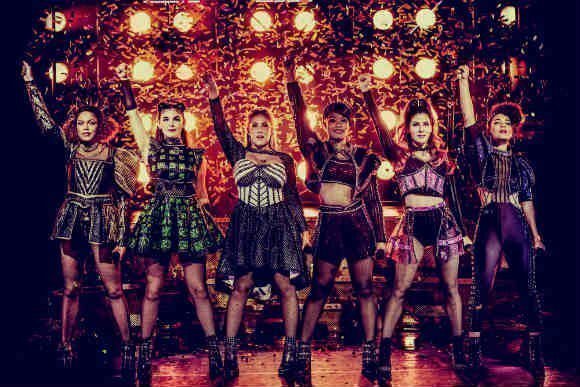 Welcome to Six, the almost-accidental musical that kicked off with the germ of an unlikely idea and ended up in Theatreland, proving that dreams really do come true. What do the critics say? The Times' Ann Treneman says, “I predict a hit”. According to Critics Choice it's “a blast”. 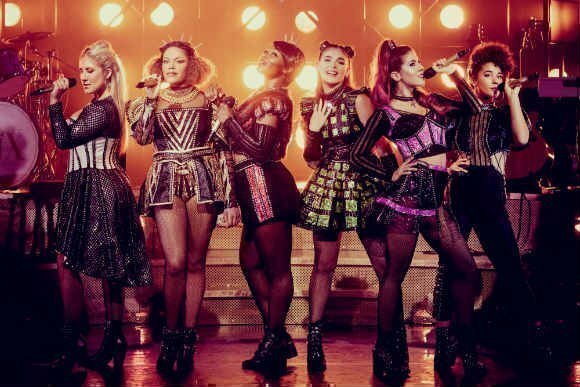 The Telegraph's Dominic Cavendish says this “pulsating musical spectacular was undoubtedly this year’s Hit of the Fringe”. 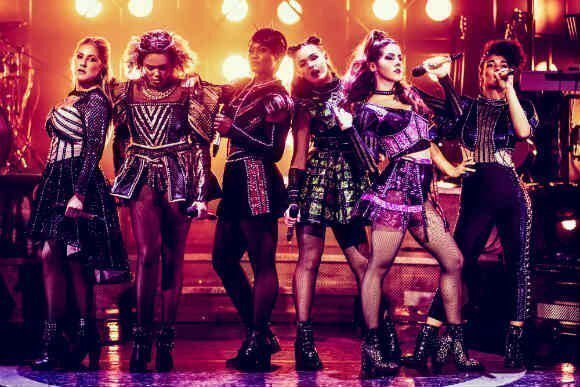 The show sold an impressive 10,000 tickets at the 2018 Edinburgh Fringe Festival, as well as gathering a load of five star reviews, now it's returning to the West End’s Arts Theatre from January 2019. Why the return? It's down to 'overwhelming demand' according to the producers. Why's it so popular? Maybe because it's so unusual, so rebellious. The plot goes like this. The Tudor king Henry 8th had six wives. The first was divorced, the second beheaded, the third died, he divorced the fourth, beheaded the fifth and the sixth survived him. Welcome to Six, which stars six women as the six wives of Henry VIII. They're on stage to finally tell their tale, remixing 500 years of history to reveal a confident, strong celebration of sisterly togetherness. 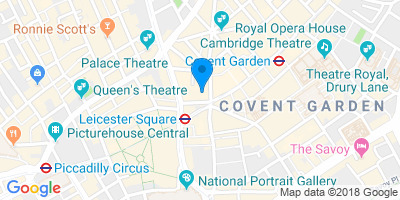 There's a host of dazzling show tunes to look forward to including Ex-Wives, Haus of Holbein and Don’t Lose Ur Head, and they're performed by an all-female band. 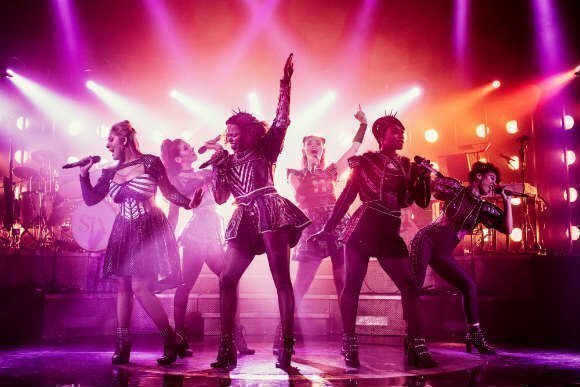 The result is a highly unusual, high-octane gig-style musical that weaves a truly compelling true tale. What's the musical's origin? When Toby Marlow and Lucy Moss were in their last year at Cambridge University, Marlow had an idea about a musical theatre show. His friend Moss wasn't convinced at first but she went along with it. 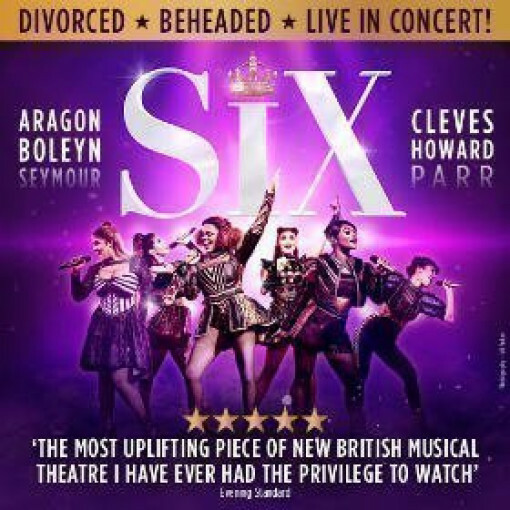 Now Six is a smash hit and tipped to be one of the most exciting new West End shows in ages. The Evening Standard critic calls it “The most uplifting piece of new British musical theatre I have ever had the privilege to watch”. This is one heck of a Tudor take-off, and people of every age and taste absolutely adore it. The Telegraph goes as far as to say this show is, “The best the West End has to offer”. And according to the Daily Mail it is “bursting at the corset with 21st century sass and attitude”. Each of the six wives is described according to the childhood saying, divorced, beheaded, died, divorced, beheaded, survived. And all six compete with each other to deliver the most heartbreaking story. They all have their own tale of woe, and every one of them has a long-lost sense of empowerment they want to claim back. There isn't a plot as such. The story is unfolded through song, on an empty stage, and boy, these are absolute powerhouses of pop songs, some heartfelt, some infectious, others victorious. The lesson is clear. The six are fed up with coming second to Henry, seen as mere accessories to the king. This is their time, and it's their turn to shine. Brilliant costumery, including Tudor ruffs, are the name of the game, and they're ruffs with a secret life – we're not going to spoil things for you, so you'll have to come and see for yourself. The band is superb and the songs cover the full spectrum of contemporary chart music. On-stage the enthusiasm is infectious, atmospheric, powerful. The sheer brilliance of all the cast, creatives and musicians has to be seen to be believed. You're going to love this one!